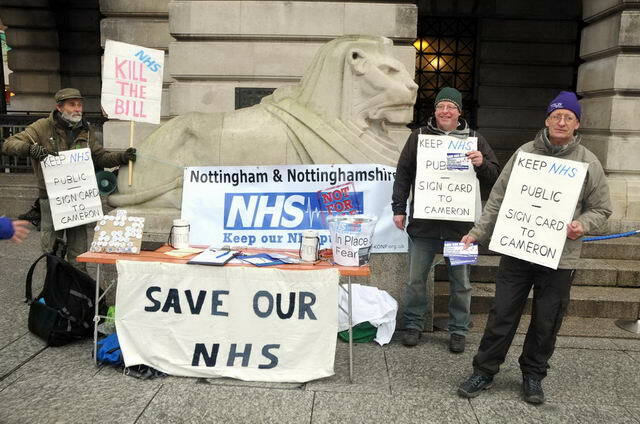 Here is a message and standard letter from the recently relaunched Nottingham & Notts Branch of Keep Our NHS Service Public. 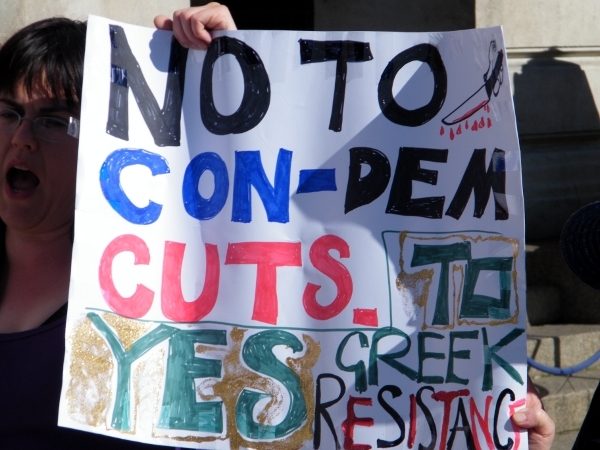 The more pressure that is put on personnel involved in changes in the National Health Service the more likely it is that we can obstruct the Government’s privatization plan. Please find below a model letter for patients who are concerned about the Government’s proposed changes to the NHS. We urge you to post or email this letter to the doctors at the general practice at which you are registered. You may wish to alter the text to express your particular concerns. Also please forward this letter on to other people who may wish to use it. It would be useful if you would inform KONP of any responses you receive. I am very concerned about the changes to Primary Health Care that the Government is trying to bring about by means of its Health and Social Care Bill. The Government intends that the provision of much health care will be brought about by means of Clinical Commissioning Groups purchasing appropriate services. We have been led to believe that it will be general practitioners in CCG’s who will actively choose the suppliers of services. However, close scrutiny of the proposed legislation reveals that most GP’s will not be deemed to be suitably qualified and experienced to make such decisions. In practice it will be representatives of private health care companies who will effectively decide how the money will be spent. As you are probably aware, the British Medical Association has expressed serious concerns about this and other aspects of the proposed changes to the NHS. As one of your patients I would like to know what are your views on the Government’s plans for change in the NHS. I suggest a discussion of these matters at the next meeting of your patient participations group.